The election of a pro-Moscow president in the former Soviet state adds to fears the EU’s influence is waning. But given the legacy of a 2014 bank scandal, associated with pro-Brussels elites, it’s surprising the poll was so close. Europe’s single market still has some appeal. Socialist candidate Igor Dodon, who is pro-Russian, won the presidential election in Moldova on Nov. 13 with about 52 percent of the vote compared with his pro-European challenger Maia Sandu’s 48 percent. Sandu said in a statement on Facebook that she would appeal the result in the country’s Constitutional Court because the election had been “neither free nor fair”. She said that many Moldovans living abroad had been unable to vote because of a shortage of ballot papers. 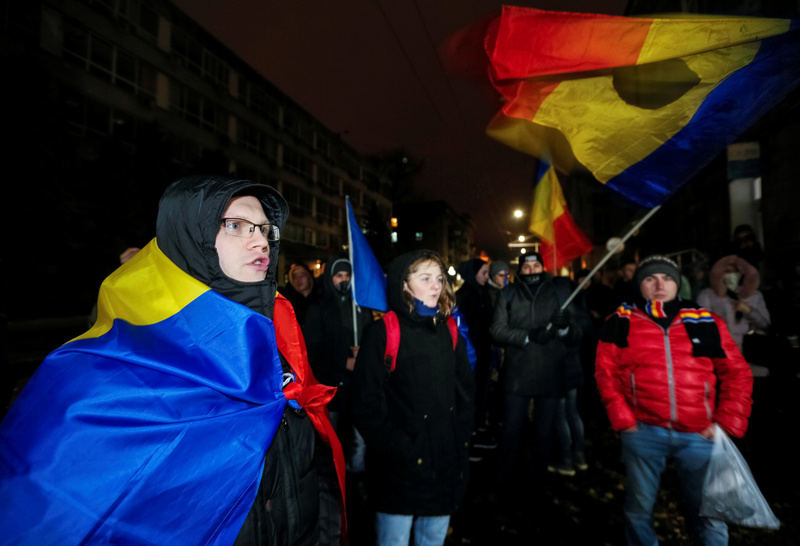 Protests against the election result started in the capital, Chisinau, on Nov. 14, with hundreds of people waving Moldovan and European Union flags. After the election Dodon said that his first official visit would be to Moscow, and that he would try to resolve the Transnistria conflict. Transnistria is an unrecognised breakaway region of Moldova that is affiliated to Moscow, with a population of about half a million. Also on Nov. 13 the pro-Russian candidate Rumen Radev won Bulgaria’s presidential election with 58 percent of the vote.